Public interest in CBD is growing due to its acclaimed possible health benefits, and the companies best positioned to thrive from this attention are those providing CBD-infused drinks and edibles. Cannabidiol (CBD) is becoming widely known for many reasons—but the most compelling one of all revolves around the phytocannabinoid’s supposed health effects. Though CBD companies generally cannot make health claims, they can focus on making great CBD products widely available so that consumers who wish to try CBD can easily make it a part of their lives. Unsurprisingly, the form most accessible and preferable to CBD consumers consists of edible products. CBD’s popularity has certainly received a big boost from the continuous coverage of the cannabis legalization process over the past year. Fortune predicts that the industry is looking to grow to $20 billion in annual sales by 2020, in light of the passage of the 2018 Farm Bill. So it should come as no surprise that news of CBD’s health benefits continues to spread through celebrity endorsements, word-of-mouth recommendations, and an enthusiastic media following. While some accounts still claim there is no medical evidence for the use of CBD, the reality is that numerous studies have been completed and yield positive results. In the sports industry, for example, research on how CBD helps with traumatic brain injury among professional athletes is hailed as very promising. It has become one of the go-to alternatives for alleviating pain and inflammation. In fact, football players, boxers, and martial artists alike find that taking CBD is particularly effective for their medical concerns. In addition to the obvious joint and muscle issues, these sports players also have to deal with concussions and other physical injuries, many of which are alleviated by CBD use. Outside the arena, CBD is also praised by those dealing with epilepsy. The reduction in seizures has garnered a lot of attention, thanks to Epidiolex, a plant-based drug derived from CBD and the first of its kind. It is approved by the Food and Drug Administration (FDA) in the United States. CBD also has been found to have positive effects on children with autism, based on studies by Israeli researchers. With a treatment period of at least seven months, and patients imbibed with CBD oil, results show a significant improvement in the child’s communication levels and a decrease in problematic behavior. Moreover, there’s a growing body of evidence to support that CBD can also be used in treating many symptoms of multiple sclerosis, a central nervous system disease that may potentially cause nerve deterioration. Patients who take CBD oil have shared a decrease in spasms without a negative effect on their psychomotor functions. SEE ALSO How can brands successfully leverage Facebook live? Another area showing great promise is the treatment of anxiety-related disorders, which affects 18 percent of the U.S. population, or about 40 million adults. The calming effects of CBD have been widely noted by people taking it every day in a variety of forms. When administered correctly, it is considered by many to be a safe alternative to selective serotonin reuptake inhibitors (SSRIs) like Prozac. The anxiolytic effect of CBD acts in a similar manner as that of SSRIs, demonstrating reduced anxiety and stress levels. As the market for CBD grows in the U.S., even edible products are becoming easily accessible and available. Sports wellness drinks are a particularly logical option and are described as a “possible new category” of beverages. A variety of companies are getting into the game too: CannTrust Holdings (NYSE: CTST) (TSX: TRST) has planned a wide range of CBD-infused drinks. The company offers Brewbudz™, “a single serve cannabis-infused coffee and tea brewing pod technology,” with a patent in North America and Australia. For the time being, it is only available in Nevada. Then there’s PotNetwork Holdings, Inc. (OTCMKTS:POTN)—its new Brain Chill Slushy Machines will dispense a variety of flavored drinks such as Wild Cherry, Cola, Grape, Blue Raspberry, Lemonade and Iced Coffee. Every 12 oz cup of these drinks will contain 100 mg of high-quality, full-spectrum CBD extract. Its subsidiary, Diamond CBD, also offers a ton of edible CBD product choices, from gummies to cake pops and shots. Illegal Burger, one of two growing restaurant chains owned by West Coast Ventures Group Corp. (OTCMKTS:WCVC), has also been providing EVERX to its customers and is increasing its orders in response to strong customer demand. The company also recently introduced its CBD-infused Burger Bowl, the first of many items on its upcoming CBD menu. 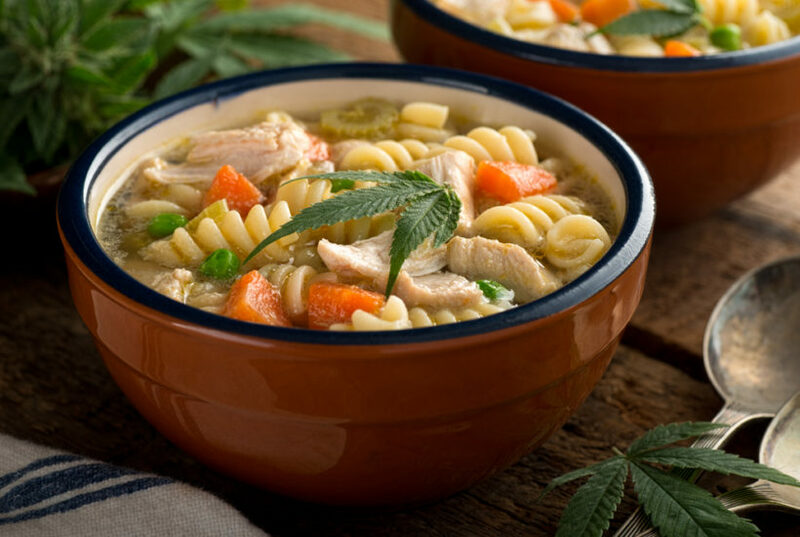 WCVC is formally moving into the cannabis industry, hoping to be the first restaurant to take the fast-casual concept one step further. For many CBD companies, all these value-added characteristics are worth paying attention to, mostly because it puts businesses at an advantageous position, and gives them many selling points to promote their products. CannTrust, PotNetwork, and Illegal Burger are paving the way for CBD companies to flourish, whether offering CBD and boasting of its many benefits is just part of what they do or their main focus. All three businesses emphasize an increasing consumer demand for CBD, and offer the general public high-quality products. Nevertheless, the FDA is becoming increasingly aggressive in issuing warning signals to companies making CBD-related health claims, especially those that are related to Alzheimer’s, cancer and other diseases. It behooves CBD companies then to be careful about any representations they make beyond the quality, ingredients, and quantity of CBD in the products they put out in the market. That being said, consumers seem to be sorting out the claims just fine on their own, as they have ample experience in dealing with nutritional supplements. Interestingly, one of the more interesting findings of a recent poll showed that those who have no plans to try CBD are more likely than not to be aware of its positive attributes. In addition, those who are considering trying CBD say they are most likely to try it out in the form of food or drink. 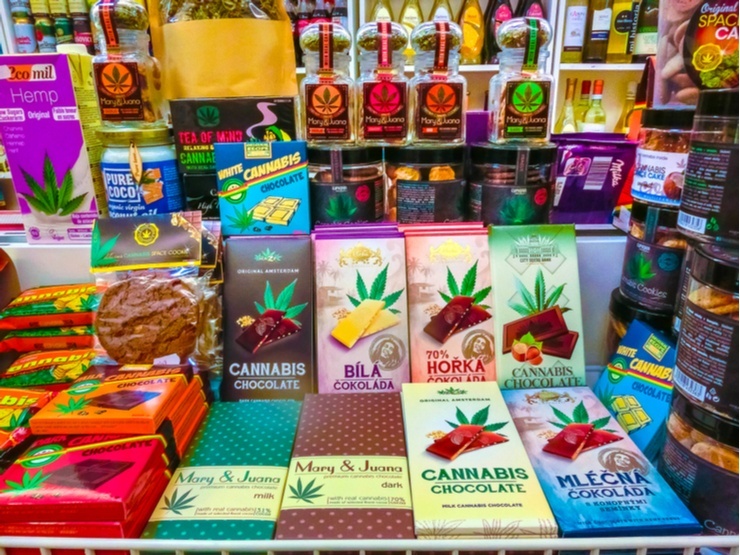 This means that companies providing CBD-infused edibles have the opportunity to benefit from this growing consumer awareness. The path forward seems to lean towards an impending CBD market boom, where scientists, industry watchdogs and entrepreneurs will likely share the space for many years to come.